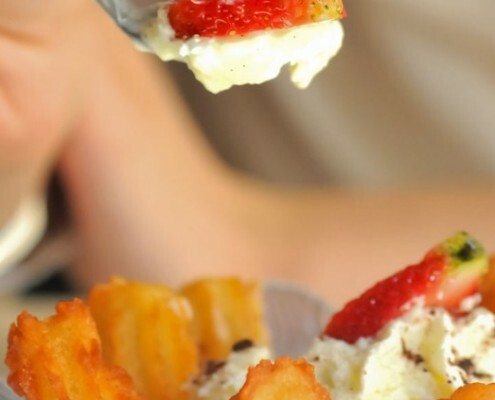 Organic tasty products for the whole family.. 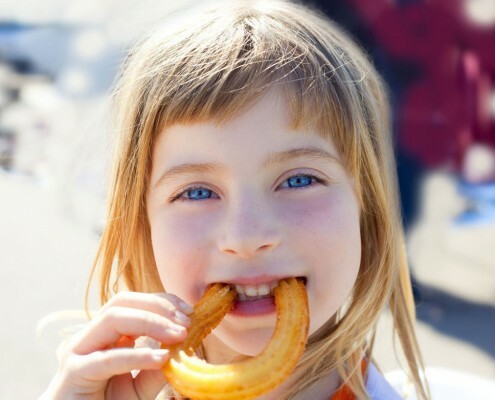 The delight of young and old , a unique flavor , Churros are a delight , a shared celebration, a time of unparalleled usability.. The quality of our ingredients , our expertise and the presentation of our stores provide real added value to each event. Our family company developed over four generations has seen its business grow . 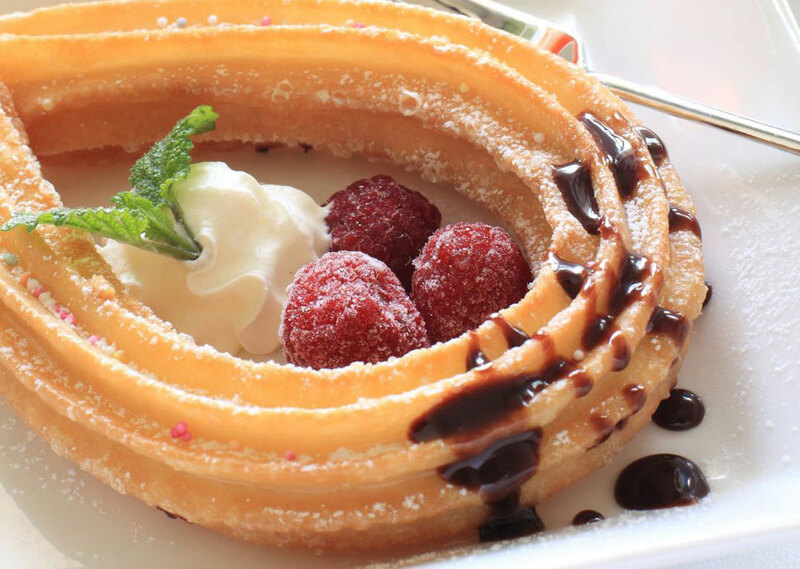 Without ever abandoning the traditional manufacturing process of our products , we have developed , over time , a variation of fragrances providing a wide range of delicious churros . 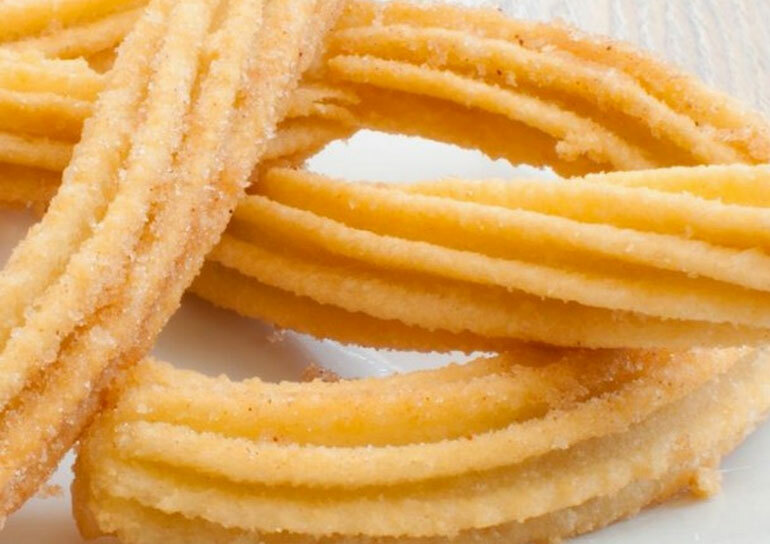 Sometimes surprising or “trends” (pink, violet or mint , for example) , our proposals rely on reliable values ​​revisited (vanilla , orange blossom , coconut … ) and the traditional churros with chocolate. Our stands feature a design and neat dressing perfectly suited to all types of events. 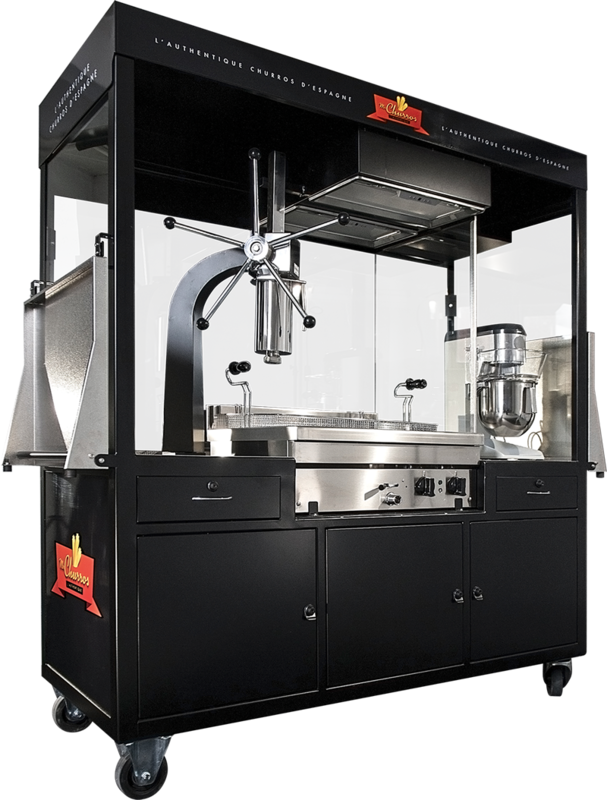 Modern equipment , suitable , run by a professional team. 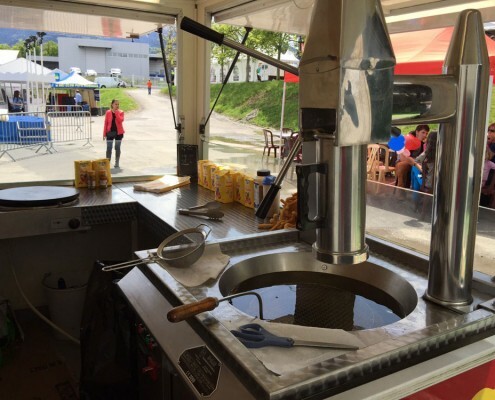 Our equipment and our staff are rigorously subject to EU standards of safety and hygiene. 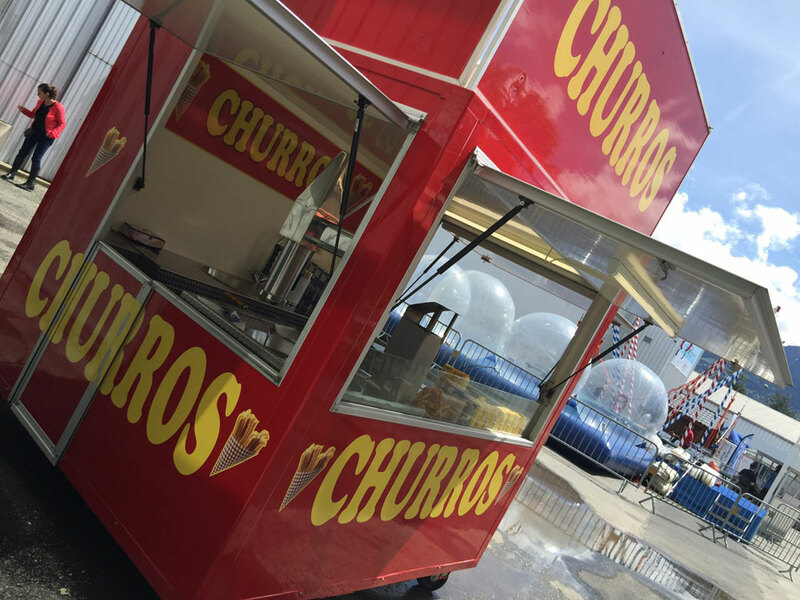 They come in the form of a fried sweet dough into a ‘big spaghetti’ or an elongated donut..
Often sells at fairs, in chocolate (which is rare) or in churrerias. 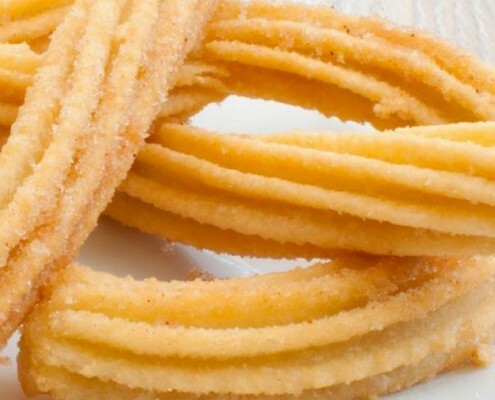 In Seville, they are called calentitos or masa frita, in Jaén the tallos and in Grenade, tejeringos. 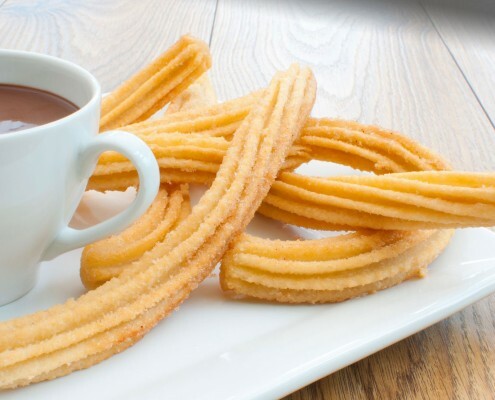 All these regional terms were eventually supplanted by the term churro. 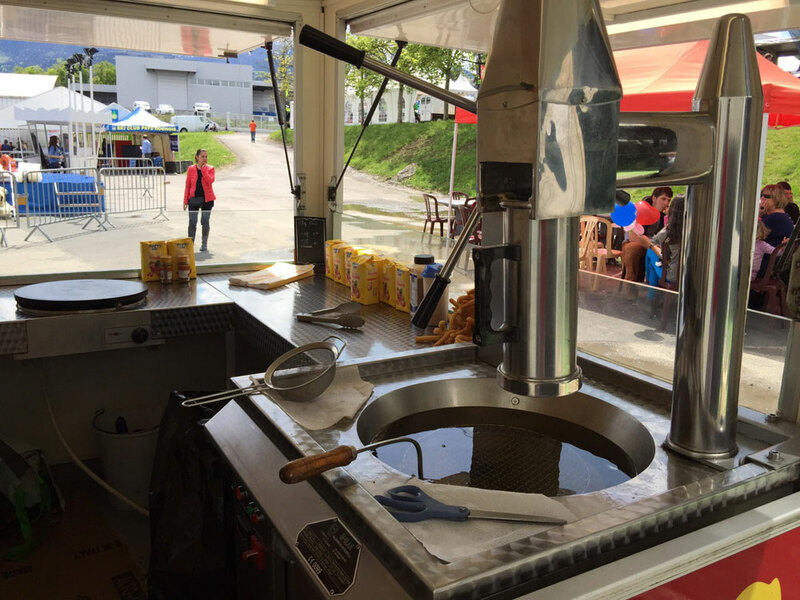 In Argentina and Peru, the churros are stuffed with sweetened condensed milk. 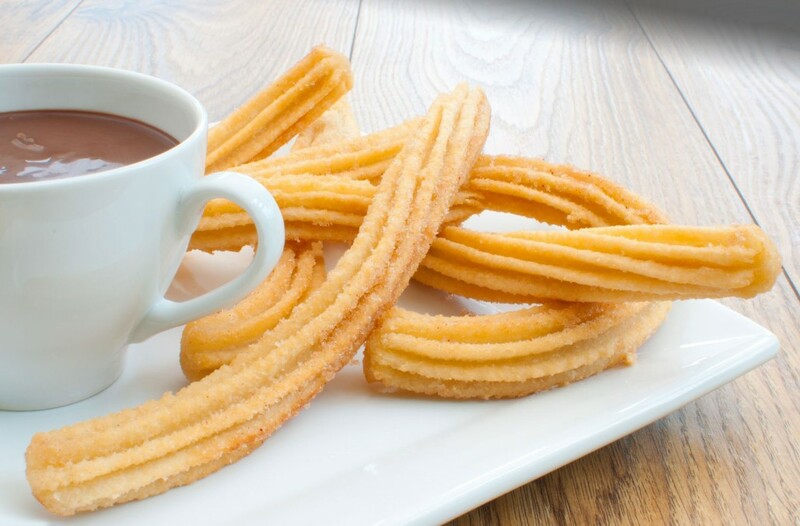 In Madrid it is usual breakfast of a very thick hot chocolate with churros or churros bathed in hot chocolate. 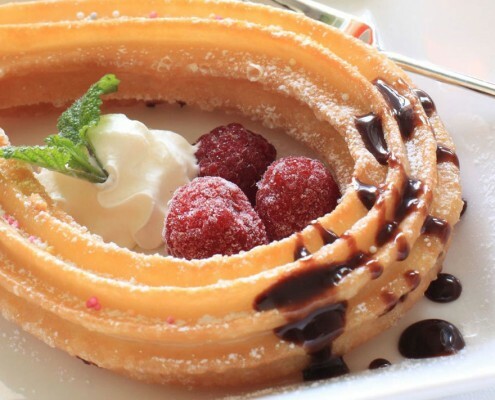 In Mexico, they are thicker and sprinkled with cinnamon; they are served for dessert. 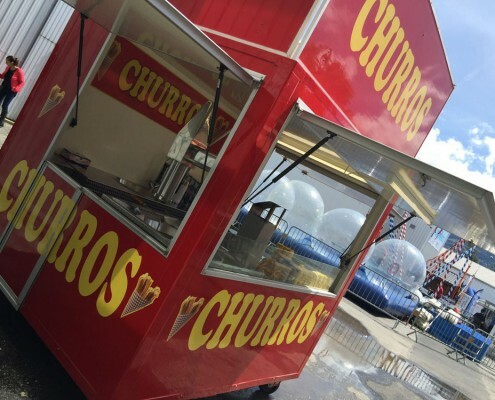 In the US, we find in circuses, amusement parks and other festivities: these are generally Mexican-style churros. 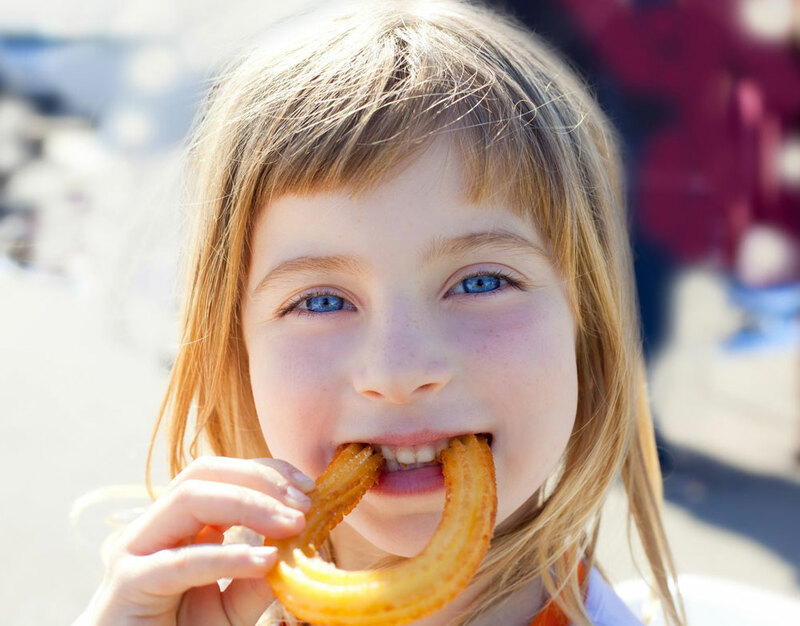 In France, they are also found at carnivals under the same name or under chichis : the frills: these are typically Spanish style churros. much appreciated by visitors . 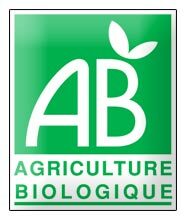 Do not hesitate to contact us to expose your project . 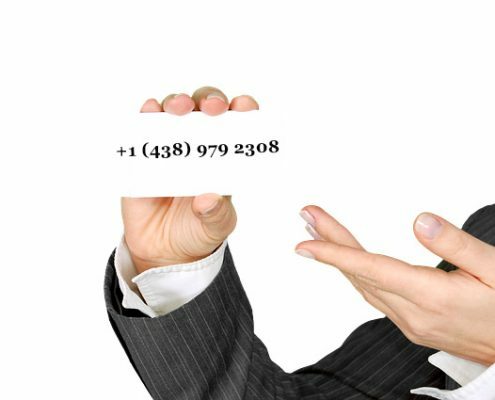 We will accompany you in your efforts so that you provide additional activity event . Together we will find the winning formula ! . Discover our full service panel !